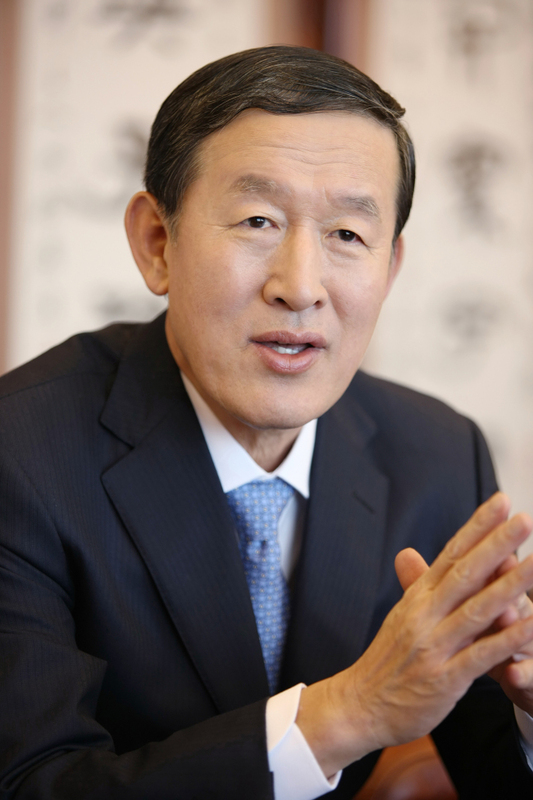 Huh Chang-soo, chairman of GS Group, urged GS affiliates to find new business opportunities amid an evolving geopolitical landscape, at an annual forum designed to seek innovation in the retail-to-energy conglomerate, the group said Wednesday. “After an inter-Korean summit, the summit between leaders of North Korea and the United States is on the way, leading a change in the geopolitical landscape over the Korean Peninsula,” he said at the annual Value Creation Forum held in Seoul. The forum shared innovative projects and products driven by GS affiliates including oil refiner GS Caltex, convenience store operator GS Retail and the construction arm GS Engineering and Construction. Huh also urged employees to go back to basics in order to bring changes in the group’s businesses. The business environment is changing rapidly with innovative technologies emerging day after day as well as changes in the social and economic arenas, he added. “If we become complacent, we will end up falling behind,” he said. “We have to endlessly agonize with desperation what core values we should deliver for our future customers and what we can be capable of,” he said.